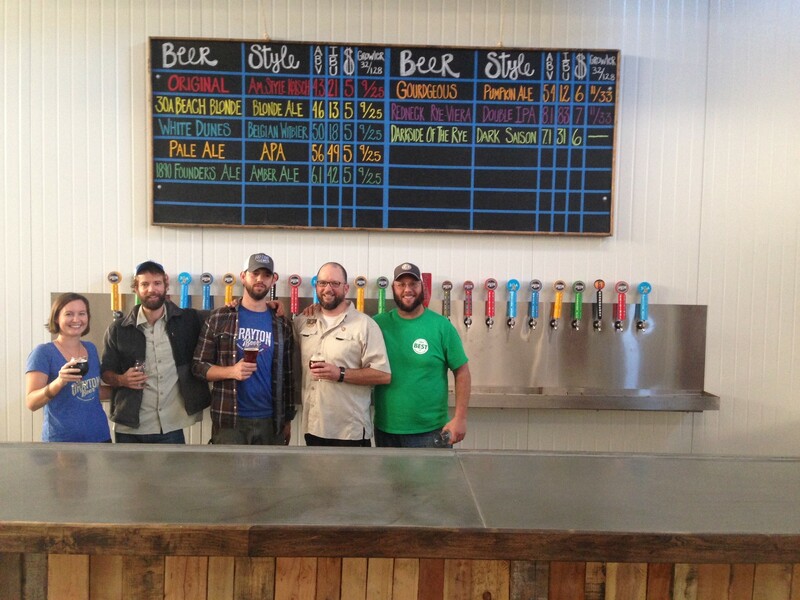 SOUTH WALTON, Fla. – Located in Santa Rosa Beach, Fla., Grayton Beer Company is pleased to announce the completion of the brewery’s new taproom, which opened on Nov. 21. Taproom hours will vary until January, and updates can be found on graytonbeer.com or the brewery’s Facebook, Twitter and Instagram pages. A grand opening event will be announced in the coming weeks. Currently open to the public, the taproom boasts a 40-ft. bar made of recycled wood pallets and 25 taps where customers can enjoy all of Grayton’s unique brews. This includes Grayton’s specialty small-batch beers that are exclusively available in the taproom. The bar will also feature guest taps for other craft beers as well as collaboration beers between Grayton and other local craft breweries. The taproom is the newest upgrade to Grayton’s 30-barrel brewhouse located at 217 Serenoa Road in Santa Rosa Beach, Fla. The 30,000 sq.-ft. brewery features a brand new equipment from Allied Beverage Tank (ABT), a Markyl 125 bottles-per-minute bottling line, a state-of-the-art lab run by a Harvard Ph.D. and over 10,000 barrels of annual production capacity. For more information or to reach Price, please contact Audrey Pannell at (205) 503-5955 or audrey@styleladvertising.com.